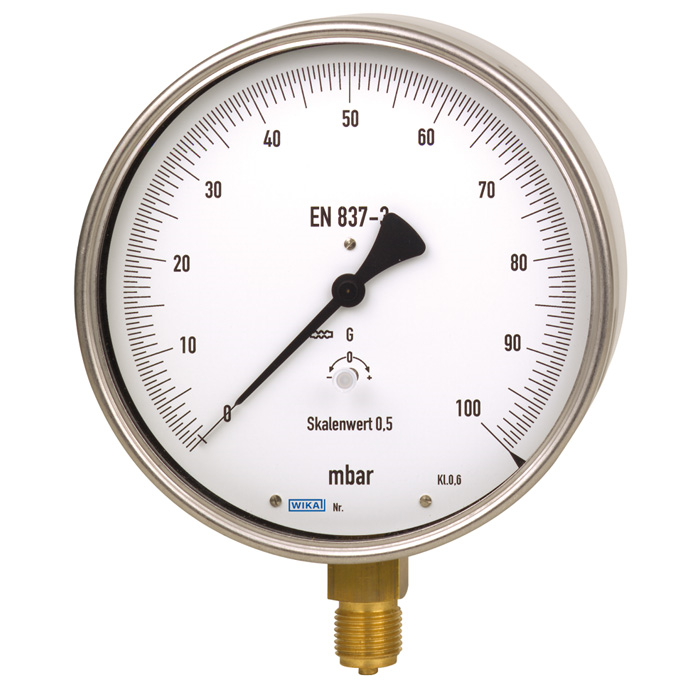 As class 0.6 test gauge series, the model 610.20 and 630.20 capsule pressure gauges are suitable for precision measurements in laboratories. They are based upon the proven capsule measuring system. On pressurisation, the expansion of the capsule element, proportional to the incident pressure, is transmitted to the movement and indicated.